Remember this concert like it were yesterday. Wierd stage set up. Went with girl friend at the time, also my brother and his college room mate. Big fan of Grand Funk then & now, and my brother's college mate turned us onto YES and the rest is history. Miss those years. Cheers and best regards. My first rock concert ever! My sister's friend couldn't go and she took me as a last minute fill in in her brand new orange VW Beetle. OMG! Did that ever change my world! Excited to see Grand Funk Railroad I found myself chanting YES! YES! YES! MORE! MORE! What a blast! The rest they say is history! Zepplin...The Who...The Stones..Clapton...etc. etc. The ticket stubs kept piling up and STILL DO! What a great time in life to be a teenager! i was fortunate enough to work with the new haven jaycees in those years as a volunteer usher. i saw more 60's 70's groups than i could name. it was the ultimate ticket to that music era. too bad it ended in such sad way.kids after us were left with overpriced tickets & shows that could not compare to those at the "bowl". also saw joplin & hendrix at woolsey hall. yale should have been in the music business! Let it go Mike! I'm a long time Yes Freak and Dead Head! I too was there, and my jaw dropped too. The music was so complicated! I don't remember any bands other than Yes and GFR on that bill. The following Saturday night (July 31, 1971), the Grateful Dead played the Yale Bowl. Some fans without tickets wanted to crash it, and there was tear gas, cancelling the remaining Pops Concerts, including the following week's scheduled Who concert, for which I had 10th row seats. I will never forgive Dead fans. I also went to the Led Zep show at the Yale Bowl. Was fortunate to have a front row seat. Had been in New Haven the same nite the Bee Gees played but instead I went to the Blue Angel Cafe to see The Drifters. On this evening I walked into Yale Bowl with an RCA 1/4" 3and 3/4 ips. battery operated open reel recorder with an external "ball mike" as they were called in those days. I recorded "Perpetual Change" to get a level and figuring I better get something from this band on tape. It's the only cut I have from that night as I wanted to save the tape for Grand Funk as I only had a total of 60 minutes of tape. Glad I did it! Yes forever changed my life as budding young musician. I recall saying to my friend Dave, " Who are these guys??" Steve Howe's guitar was clear, fast and precise. Bruford's drumming had a mathematical feel. What great vocals! And how was Squires getting this cool bass sound? Little did I know how much this band was going to influence my musical life for many years to come. I just happen to come across this tape a couple of weeks ago which I put into a file cabinet for safe keeping. I have no idea how well the tape has survived time but, I bet Steve Norde still has the copy of the cassette I duped for him. This was the very first rock concert I ever attended. My brother and I were big GRAND FUNK fans and couldn't wait for them to hit the stage. It was a beautiful summer day in New Haven and we fans were all huddled to the seats in one end zone so as to create an amphitheatre. I honestly have no recollection of DECIBEL DEATH playing a note! When YES played, everyone listened! The band played with a lot of energy. Howe was brilliant! Kaye's B3 tone was exceptional. Vocally, they were flawless. Bruford and Squire were as tight a rhythm section as there ever was. There's a great bootleg of this set and, when you listen to it today, it confirms just how tight they were. GRAND FUNK came out to a standing ovation and blew the doors down for about 90 minutes. They were really LOUD but everyone seemed to enjoy it. Their 3-piece version of "Closer to Home" was quite impressive. I saw Bruford at the NAMM show recently and he remembered this night and all of the hoopla surrounding GRAND FUNK. However, many of us who attended this show became immediate YES fans and have remained loyal to this day. One final thought: Of all the times I saw Howe, this was the best I'd ever heard him. My memories of this show are very similar to the others. My community college got us discounted tickets to see Grand Funk Railroad. I was totally unaware of any other bands on the bill. But like everyone else, I was totally blown away by YES. I wanted them to play all night. GFRR was nothing compared to them. My only real comment was that I thought the other band on the bill was Melissa Manchester. Whatever I have no real recollection of it. I remember this show like it was yesterday. Not being a fan of Grand Funk, I went along anyway with some friends. I remember the announcer coming out and saying "Will you welcome, direct from England-Yes." About 10 people clapped for this band that neither I nor most people in the U.S. had ever heard of up to this time. By the time they left the stage, My jaw was hanging from what I had just seen and heard,and I have seen Yes more than 55 times since. My memory of this show was how clear and professional the sound was. Grand Funk, on the other hand, was all show and little musical substance. In fact, they were extremely loud and distorted, and I remember a good portion of the crowd walking out before they set was over.I immediately bought "The Yes Album" shortly after and played it constantly. The story of the recording goes like this: a young man walked into the Yale Bowl with an open reel deck under his arm, walked up to the soundboard, plugged in and taped Yes. As far as I know, the four songs on the tape were the only ones played at that show. The original recording was on a small reel and was done in mono, there was no FM broadcast at the time, although it could very well have been played over the air by a really cool radio station at a later date. I am the person who actually had the master reel and transferred it to cassette, and I still have that 1st generation copy in my collection. It took me almost a year to get the tape into my hands and we worked pretty quickly to get it transferred and returned. As far as I know, the original has stayed in the possession of my friend since the transfer was done. In regards to the show, Yes were third on the bill to Grand Funk, with a band I have never heard of called Decibel Death sandwiched in between. There were quite a few shows put on at the Yale Bowl in the early 70's including two Led Zeps, Grateful Dead and other top acts of the day. The entire stadium was not used for the shows, only one end of it was set up with a stage. The best estimate I can come up with is attendance would have been around 10-15,000 for each of these shows. The New Haven register had this to say on Monday July 26, 1971: They said they came from England which automatically made them special; they said this was the last performance on their current tour. Their name was "Yes" and if they had been missed by the not-really-into-it fan, then he was into them when they left. 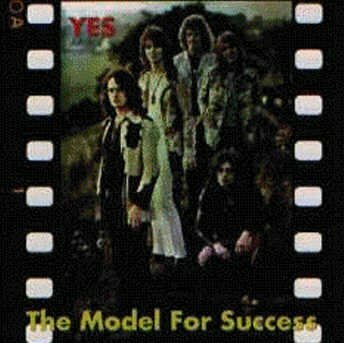 "Yes" was just fine; a robust, creative group whose Atlantic (ATCO) albums, while never big sellers, always contained lots of good licks to get off on. Last Saturday's Yale Bowl Pops got off, too. 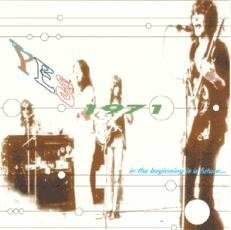 Their special and last number "Perpetual Change" is 8 minutes of sheer joy, rock at its finest with a hard top yet with plenty of lilting vocals by John Anderson who also plays a strong set of drums. 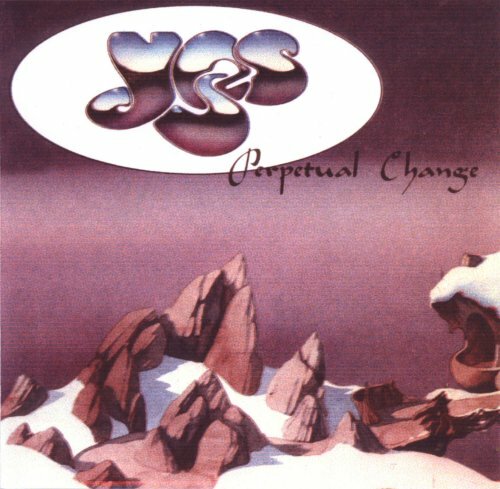 Chris Squire on bass, Steve Howe on acoustic (and he really lives to play this beautiful instrument as demonstrated by a fine solo), Tony Kaye on piano-organ and Bill bruford, the regular drummer - "Yes" is worthy of watching next time around. I wish I could find the person who wrote that article and see what they thought of future Yesshows!! I have been fortunate enough to talk with several folks who were in attendance, almost all of them mention Chris' fur-topped boots and my favourite quote is from my good friend Nick who said "We didn't know what planet they were from"... they were all blown away. My dad went to see Yes at the Yale Bowl in New Haven, Connecticut on July 24, 1971. The venue was mainly used for sporting events, but in this case they put some seats on the end zone and put the stage in the middle of the field. He bought tickets to see Grand Funk Railroad who were extremely big at the time. He remembers when an English rock band (who no one had ever heard of) opened for Grand Funk. They were Yes. At first people didn't want to see them. They were too anxious to see Grand Funk. By the end of the performance the entire crowd was blown away. They called Yes back for 3 encores. By the time Grand Funk Railroad actually did come on stage, the people were still thinking of Yes. It's weird. First Grand Funk blew Zeppelin off the stage and now Yes blows Grand Funk off the stage. This was Yes's first and last tour as an opening band. If I were alive in 1971, I would have slept on the sidewalk for this show. I have a photocopy of the newspaper review of the show....the show took place on a Saturday, and the review was in Monday's paper 7/26/71.....the gig was at a place called the Yale Bowl, an outdoor stadium that is used primarily for the Yale football games. Although the place does hold 80,000 people, the popular concerts that were held there in the early '70's appear to have been staged at one end of the field to a crowd of 15,000 people or so....I have not been able to find any written documentation of that, this is based on eyewitness accounts...they played third on the bill with Grand Funk (the headliners) with a band called Decibel Death in the middle....by all accounts the performance was tremendous, I have a few friends who were at the show (lucky them).....the newspaper gave Yes a great review. I went to see GRAND FUNK RAILROAD. 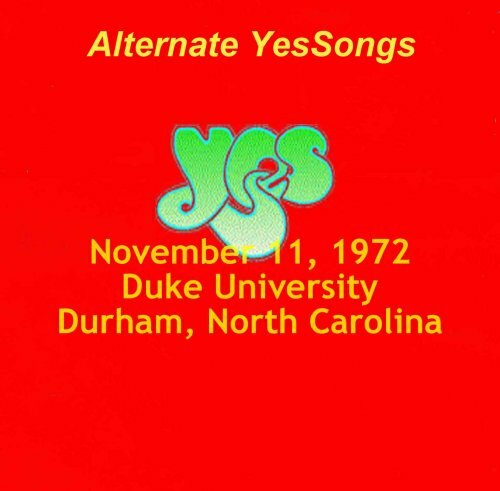 I had never heard of YES. They opened the show and blew me (and everyone else) away. When they finished their set, they were called back for three encores. When GRAND FUNK hit the stage, it was a bit of a let down, not because they were bad (they actually were pretty good) but because YES was so outrageous. They left a lasting impression with me and I've been crazy about their music ever since. On the Atlantic label and we're going to do..uh..
..a song in two parts. The first part is called 'Your Move' and the second part is 'I've Seen All Good People'. Uh..with a threatening right hand, on my..the gentleman to my right playing a Vachalia, you see? From Portugal - it's a soup stirrer. There ya go, Steven there, thank you for listening. We love you. I must say it's very nice for us to be playing in New Haven this evening and we're very pleased to be here. The..the other side of story is this is the last date of our current US tour so we're obviously very excited about going home, as well as we're certainly going to miss this country because we've had a hell of a time over here. Thank you very much. Just a bit of kinda tuning up noise. It's a very harmonic thing to hear actually, I don't know if you've been to a concert recently, where it's more kind of... (hums). This is another track from our current Atlantic release called 'The Yes Album' and this is..uh possibly the last song from us this evening and this is also the last song on the album from us. So we'd like to..uh continue here with a song called 'Perpetual Change'. Thanks a lot. Bill on drums there. Thank you for listening and enjoy yourselves. That's goodnight from 'Yes'. Thank you very much, everybody. We have to go, so we'll see you. Goodnight and thank you very much. Yeah, good night and have a good time with Grand Funk.